I'm selling some Phantasmagoria stuff. Photos available in my journal. 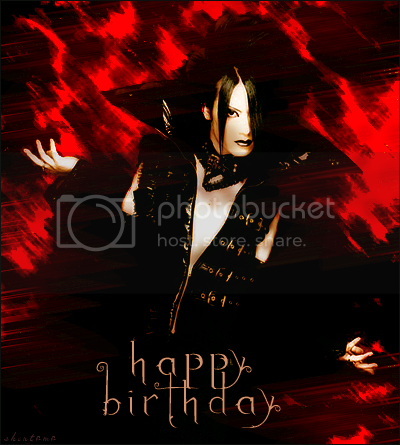 My lovely friend vampiric_kozi made an awesome banner for Iori's birthday, but she's too shy to post it, so I'm going to! She's also like to thank chibikaoru for the scan. Here it is, and HAPPY BIRTHDAY IORI!